"I would recommend Lou Ann without reservation. Her recommendations were exactly on target. She worked hard on my behalf, even after the sale." "You can trust her expertise and judgment. She earned every bit of her commission. Moreover, she earned my admiration and trust." "Every morning I wake up and look around me, and I'm so grateful that Lou Ann found me this beautiful place to live." "I consulted with a number of Realtor's initially and decided on Lou Ann because she was engaging, articulate and personable." 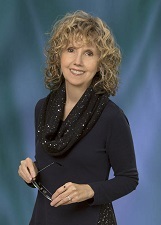 "Lou Ann Dunlap is wonderful. She was professional, knowledgeable and listened. She worked hard to find our perfect house. I enjoyed working with her immensely. I would highly recommend her. Thanks Lou Ann." "Lou Ann was just super. I still have not seen my new home. The associate and my son did all the looking and picture taking for me. Lou Ann did a super job for me." "Lou Ann gave me the information I needed to make good decisions. I was satisfied that I could trust her judgment." "Lou Ann's communication was unsurpassed. I credit the sale of my house in large part to her prompt follow-through."